We make our bourbon in small batches, ridiculously small batches. This enables us to showcase the different flavors that result from the wood in each barrel, as in the case of single barrel bourbons. We maintain the consistency that is found in small batch bottling. It’s like making dinner for 8 friends rather than a group of 80 people. Creating very uncommon bourbon is a journey. We seek out new and aged barrels of bourbon from established distilleries that have perfected their art over hundreds of years. 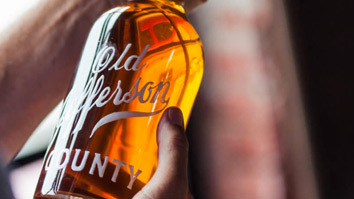 Then we do some old-fashioned experimenting, building balance and adding complexity through different selection, agitation and environmental processes until we find the taste Jefferson’s is known for.